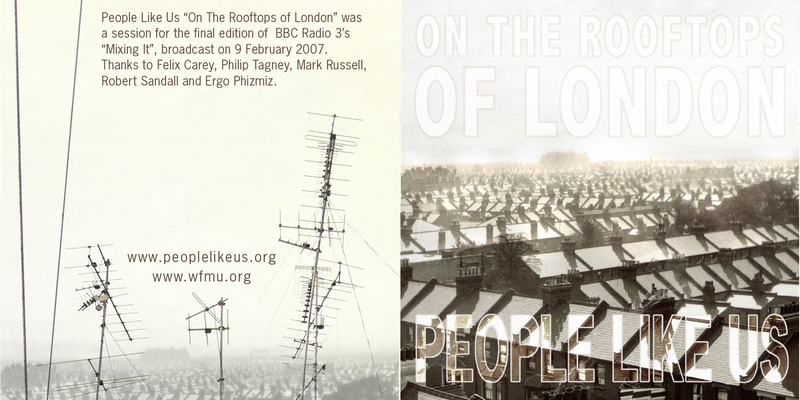 People Like Us - "On the Rooftops of London" (mp3) was a session for the final edition of BBC Radio 3's "Mixing It", broadcast on 9 February 2007. In March of this year, Forma commissioned People Like Us to make a series of new soundworks for the AV Festival "Now Hear This". Now Hear This is a series of site–specific audio works presented in various public spaces across Middlesbrough, UK. The project featured audio works by artists including Marcus Coates and Zoe Irvine, selected for their various interests in the complex relationships between sound, space and location. Adopting diverse modes of broadcast and public address, Now Hear This offers a range of listening experiences and unexpected sonic interventions into our everyday urban environment, creating surprising and engaging encounters with broadcast material. UPDATE 8/5/08 -- one more!!! 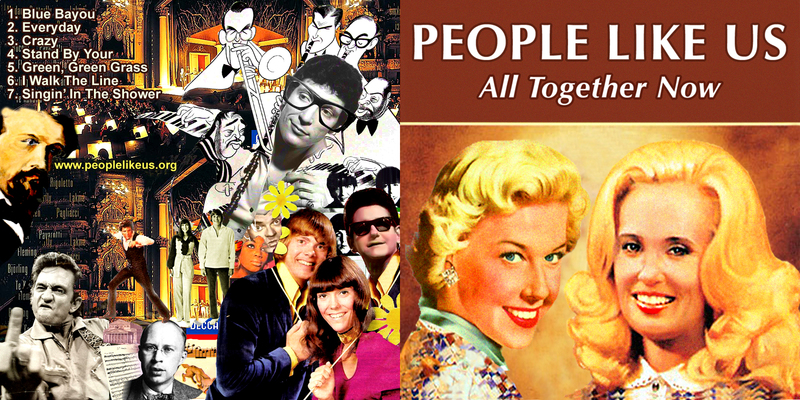 All the while, People Like Us is back with a new season of the Do or DIY radio program here on WFMU. Today's guest is Ergo Phizmiz, who's got a new album out on Gagarin Records called Handmade in the Monasteries of Nepal and Eloise My Dolly. On August 11th, People Like Us plays host to Gwilly Edmondez, formerly of Radioactive Sparrow. Subscribe to the Do or DIY podcast here (iTunes). Program archives are here. EVERYDAY is a very tight mix. stand by your man has one good area of synch...i'm still litening to the rest- thanks! "On The Rooftops Of London": what wonderful wonderfulness.